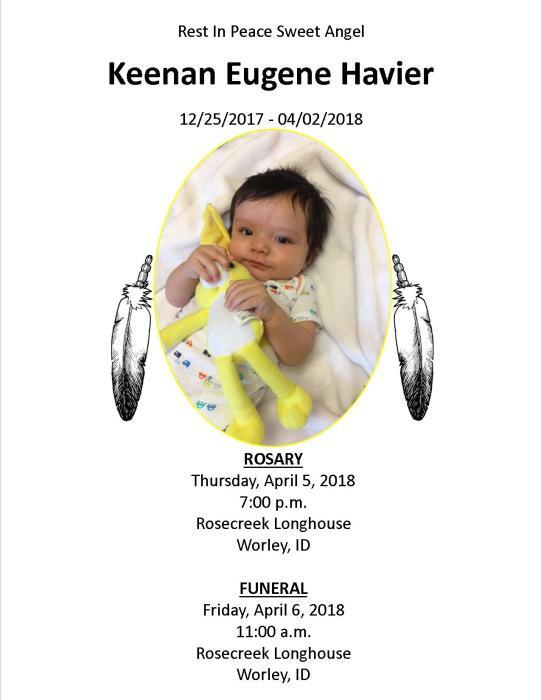 A Mass of Christian Burial for Keenan E. Havier, age 3 months, will be held Friday, April 6, 2018 at 11:00 a.m. at the Rose Creek Longhouse in Worley, Idaho. Rosary will be held Thursday evening, April 5, 2018 at 7:00 p.m. at the Longhouse. Father Robert Erickson will officiate at the services and burial will follow at St. Michael’s Cemetery in Worley. Keenan was born December 25, 2017 at Coeur d’Alene, Idaho to Kina Havier and Cadence Swan. The family made their home at Worley. Keenan passed away April 1, 2018 at the family home in Worley. Survivors include his parents Kina and Cadence of Worley, Grandmother Gina Pierce Swan of Spokane, WA, Grandfather Brian Eugene Sczenski of Worley, Grandmother Miranda Havier of Worley, Grandmother Joene Zepada of Worley, Great Grand Parents Sherri and Carl Henry of Worley, Great Grand Parents Barbara and Donald Sczenski of Worley, Great Aunt Barbara Mitchell of Plummer, Aunt Mekah Haynes of Plummer, Aunt Delilah Swan of Worley, Aunt Kiley Mitchell Gregg of Spokane, Aunt Tehana Marquez of Plummer, Idaho, Aunt Alberta Havier of Worley, Aunt Constance Havier of Worley, Aunt Jolene Stensgar of Plummer, Aunt Lilly Gutierrez of Plummer, Uncle Khyrell Haynes of Plummer, and Uncle Cade Mitchell Gregg of Spokane, WA. 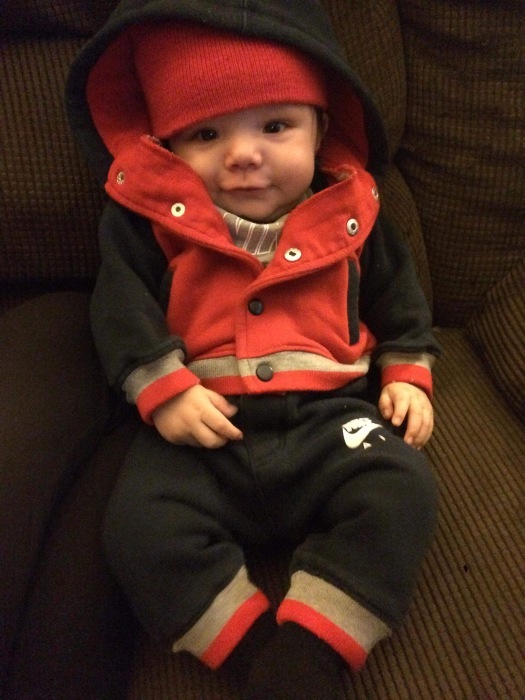 Keenan was preceded in death by great grandfather Loren Swan, grandfather Larry Havier, and cousin Xander Havier.